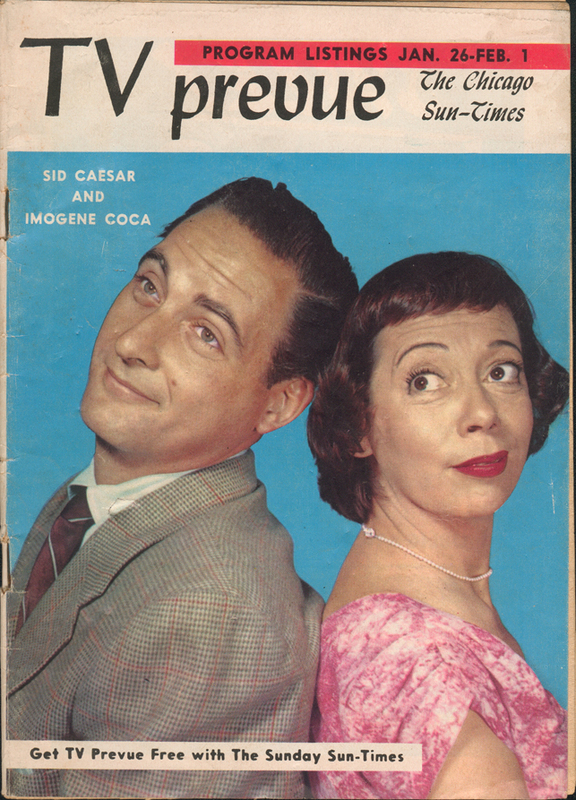 Sadly, the groundbreaking comedian Sid Caesar passed away last month. 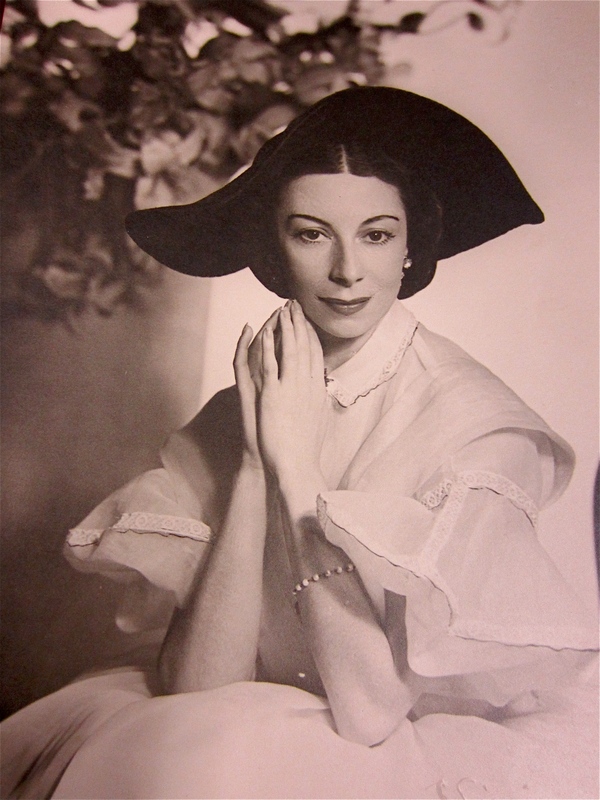 Reading the many tributes that followed, I was reminded of the fun I had in learning all about Alicia Markova’s appearances on Caesar’s must-see 1950s television variety program, Your Show of Shows, with Imogene Coca. Markova working with slapstick comedians – on TV? Yes indeed. 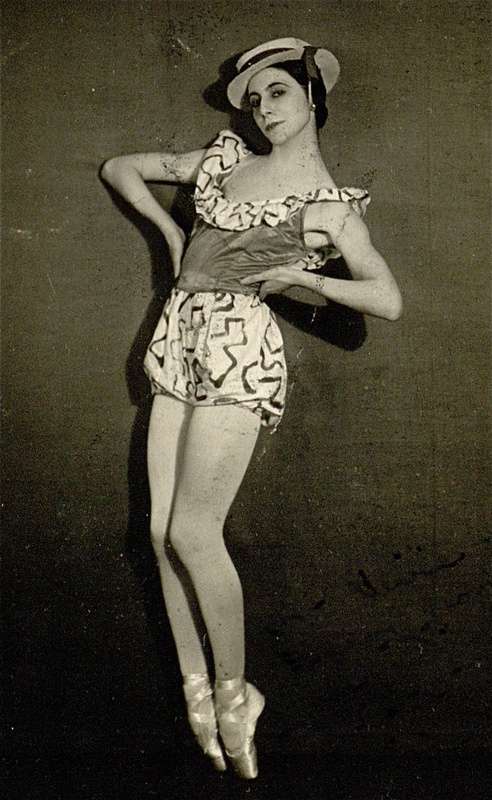 Comedienne Imogene Coca’s ballet parodies were a stitch. 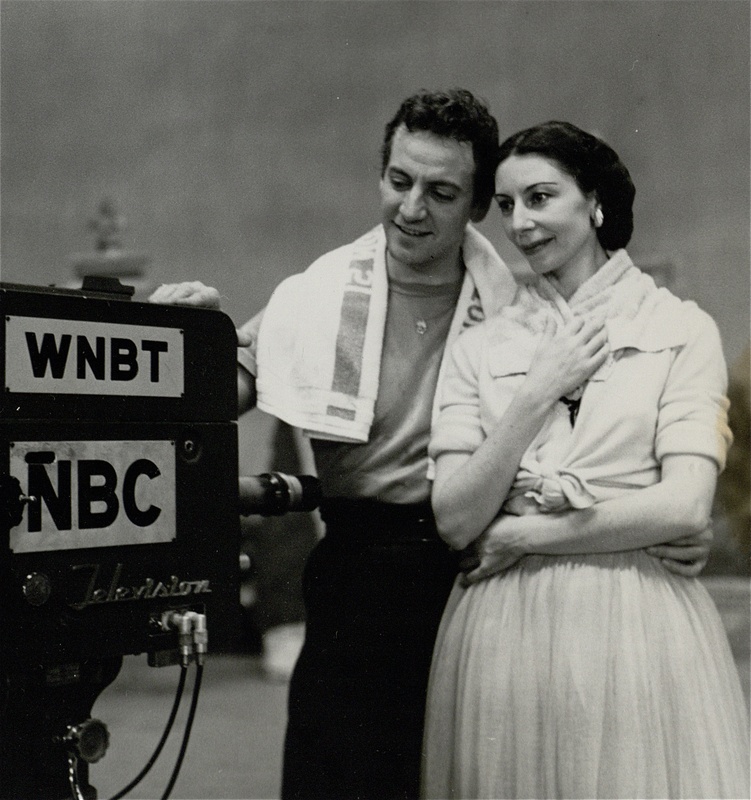 It was in 1952 when the program’s innovative producer Max Liebman approached “New York’s favorite ballerina,” as the papers called her. The already world-famous Markova was being wooed by many TV luminaries, including Ed Sullivan. But Your Show of Shows had one major advantage: their resident choreographer started his career in ballet. 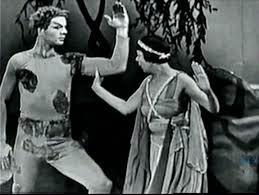 So in addition to staging weekly popular dance numbers, James Starbuck also parodied classical ballets dancing with Imogene Coca. Rather than poke fun at Markova’s beloved art, those skits actually engendered interest in ballet – hence Liebman’s invitation. Markova was as elegant off-stage as on. Her hosting a comedy-variety show was inspired television. Why not have Alicia Markova guest-host the show? No one had ever heard her speak! Audiences surely would assume Markova was Russian. Her clipped British accent would be the first surprise. And a ballerina delivering lines written by funnymen/show writers Mel Brooks, Neil Simon, and Woody Allen? Intriguing to say the least. Liebman had a surprise coming himself. He had no idea Markova was blessed with such a phenomenal memory. After the dress rehearsal, she was able to deliver all of her lines without cue cards. And the show was live. Markova performed Les Sylphides for an audience of 30,000,000! 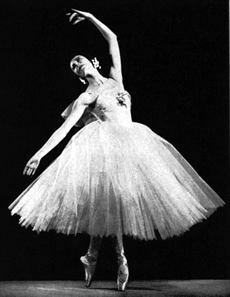 Markova’s televised Dying Swan brought tears to viewers eyes. The magazine was wrong. 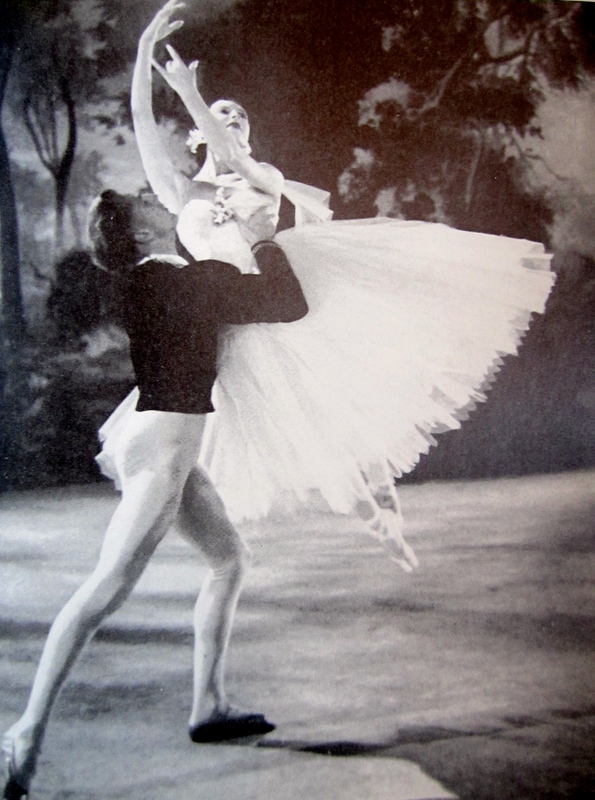 Markova and Les Syplides were a huge hit in Middle America – so huge, in fact, that she was invited back throughout the season to dance other ballets. The lively snowflake scene from The Nutcracker was a natural choice for a popular comedy/musical program, but Markova’s achingly moving Dying Swan caught viewers off guard. Commented one newspaper, Starbuck’s “imaginative production of ‘The Dying Swan’ faded out on a close-up of the final convulsive flutter of Markova’s exquisite hands, a shot which brought tears to the eyes of many viewers.” . 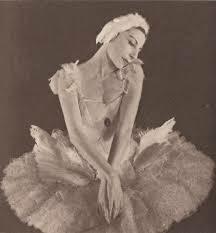 . .
CBS gave Markova her own series in 1953: thirteen 15-minute programs that combined her exquisite dancing with background information on each ballet explained by way of entertaining stories and anecdotes. Markova was clearly telegenic. Television pioneers in the ’50s. Markova had them beat by two decades! TV studios were so small in 1932 that Markova had to choose ballets like Facade’s polka with little side to side movement. 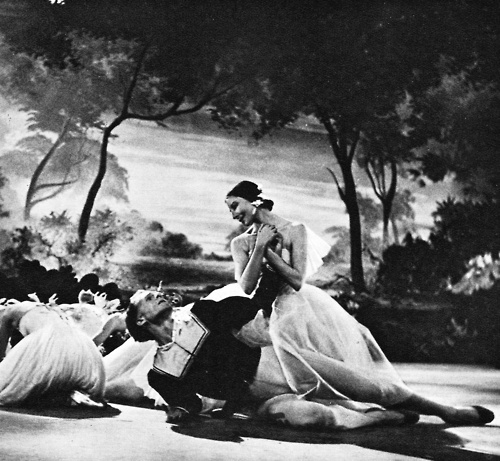 As British dance writer Eric Johns described Markova’s pioneering television efforts: “Way, way back in the almost prehistoric early thirties and the days of low definition experimental television, the flickering screens revealed the graceful figure of a dancer, one of the really great names in ballet – Alicia Markova. . . . If an international award were instituted for the most televised ballerina in the world, it would be won outright by Alicia Markova. Her pioneering has done so much to make the art of ballet, previously considered too high-brow for the masses, one of the most popular features of present day television programmes. 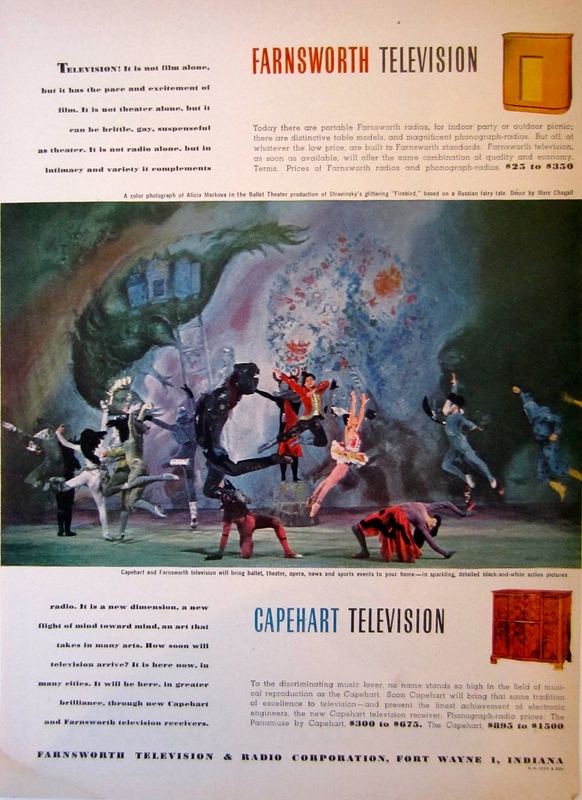 Markova became so associated with TV appearances in the US, that a scene of her dancing was featured in in ad for Farnsworth televisions in 1946. “Markova has become the most travelled ballerina in history, having flown hundreds of thousands of miles to fulfill engagements all over the world. She can only accept a fraction of the invitations she receives to dance in widely scattered cities on all six continents. That is why she is so enthusiastic about the boon of television. . . . she has always looked upon television as the greatest advertising medium the theatre has ever had. She considers it can perform the same function as a well-devised trailer at the cinema by attracting more and more people to the box office to pay to see plays, ballets and operas, of which they have already caught a glimpse on their screens at home. 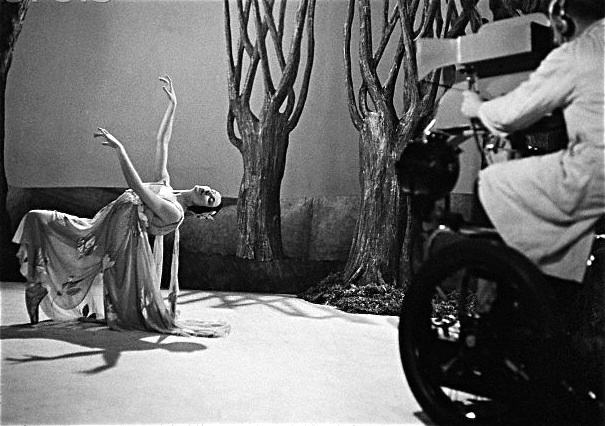 In the early years of TV, Markova was asked to instruct camera men on the best angles to capture the ethereality of ballet. ” . . .Televised ballet, in Markova’s opinion, should be something more than a motion picture version of a stage performance. It opens a new field for imaginative choreographers, some of whom may decide to specialize in the new medium. . . . The television audience has the advantage of being in a position to appreciate the subtle details of hands, feet, and facial expression, which are lost in the theatre, except to the comparatively few people sitting very close to the stage. 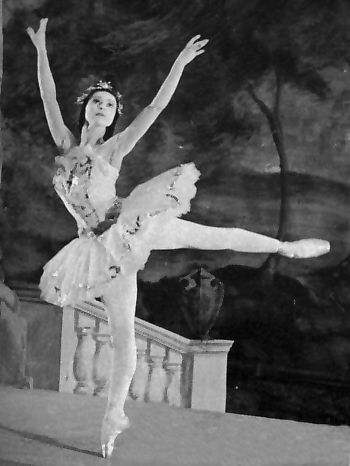 Markova often introduced her televised performances, enhancing viewers’ understanding and enjoyment of ballet. This week the BBC is airing several feature programs on British ballet, including rare excerpts of the magnificent Margot Fonteyn in a 1959 production of The Sleeping Beauty. Five years earlier, in 1955, the BBC presented another sensational performance: Alicia Markova dancing her legendary Giselle for the first time on television. Her partner was a young, relatively unknown Danish dancer named Erik Bruhn. Earlier that year, Markova had personally selected Bruhn as her Albrecht for a stellar season ender for Ballet Theatre (today’s American Ballet Theatre) in New York. Dubbed “The Matinee that Made History,” the unexpected pairing of the 44-year-old Markova and 26-year-old Bruhn electrified audiences. As John Martin wrote in the New York Times: “It may well be a date to write down in the history books, for it was as if the greatest Giselle of today were handing over a sacred trust to what is probably their greatest Albrecht of tomorrow.” Markova had just two days to coach Bruhn, who had never performed the role before. He later said her patience, advice, shared work process and confidence in him proved invaluable. On and off stage, Markova was impossible to hold still. As I wrote in The Making of Markova: A similar delirium swept the ballet world when Margot Fonteyn first danced with Rudolf Nureyev seven years later. But while that magical partnership lasted seventeen years, Markova disappeared from Bruhn’s life as quickly as she had materialized – just like Giselle. Markova was thrilled at having played a part in helping to launch what would become a brilliant career for Bruhn, and was delighted to dance with him again in the future, but now it was time to move on. She had new worlds to conquer.